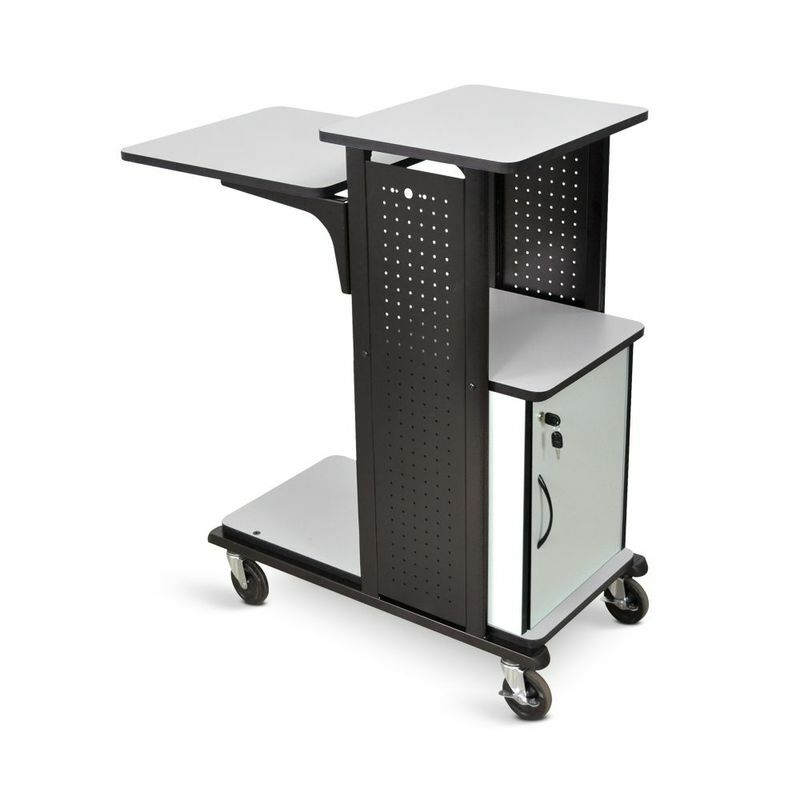 Use it as a lectern, an AV cart, or even a rolling workstation. 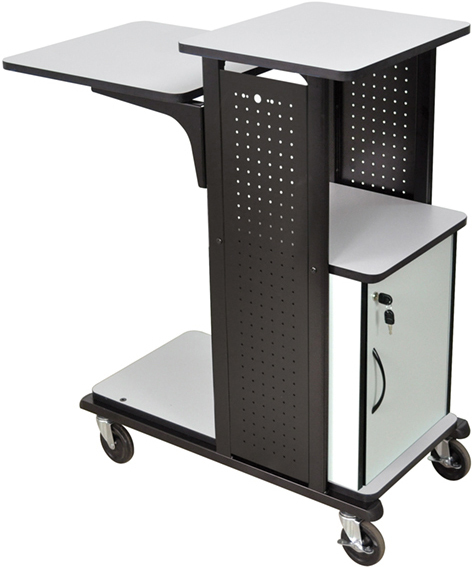 The Luxor Heavy-Duty Mobile Presentation Station suits offices and classrooms in a variety of ways. Four sturdy shelves, including a height-adjustable second shelf ideal for a keyboard, provide ample space for holding AV equipment and a locking lower cabinet offers secure storage. The black powder coat painted steel frame and ventilated sidewalls provide lightweight strength while allowing for air circulation. 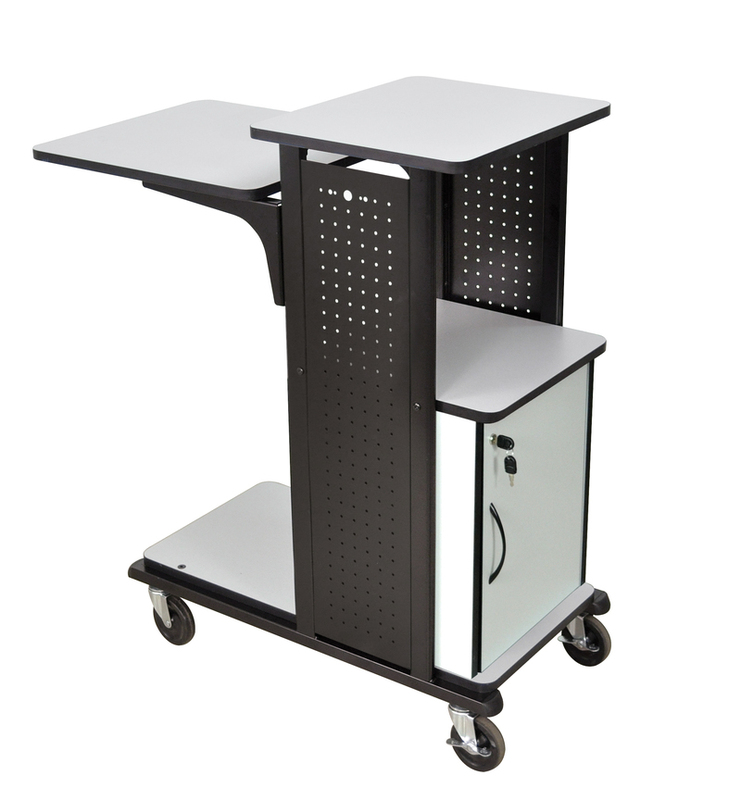 4" swiveling casters (two with locking brake) let the unit smoothly roll across any surface.